Hello!! I hope all of you are fine. I've been sick with upset stomach these last days and today I feel a little weak but better than yesterday that I was in bed all the day. 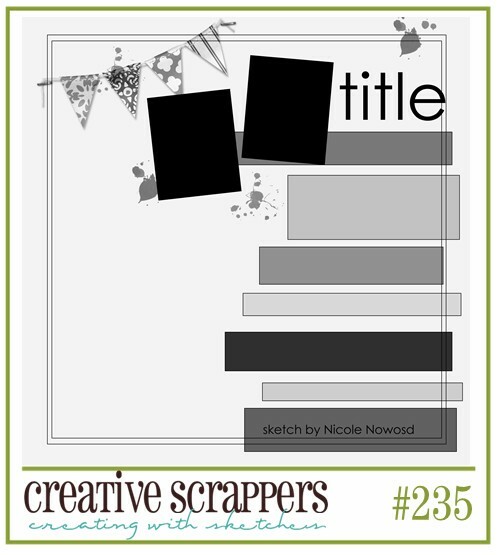 Today is the reveal of this fabulous sketch by Nicole Nowosd at Creative Scrappers. This is my take of the sketch, I worked with Kaisercraft- Sweet Nothings collection. This page is about my lovely Paola. Thanks for stopping by and for your lovely comments!!! 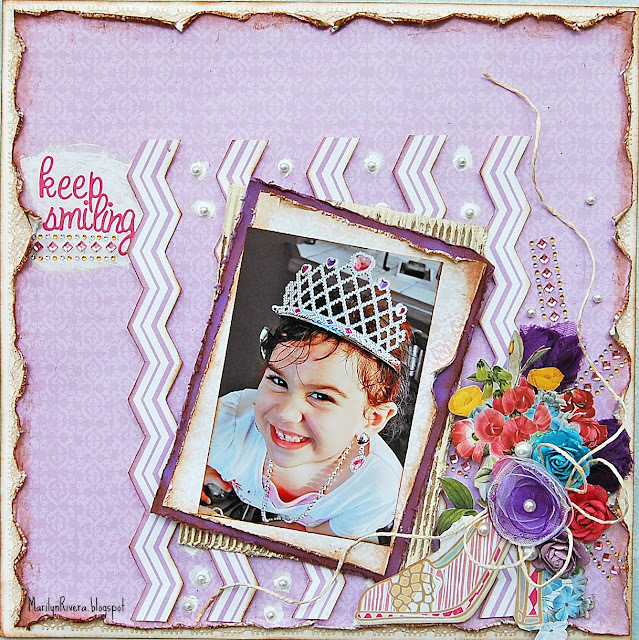 My page Keep Smiling was featured last week at Inspire Me. Thanks for stopping by and for all your sweet comments. Hello there!!! 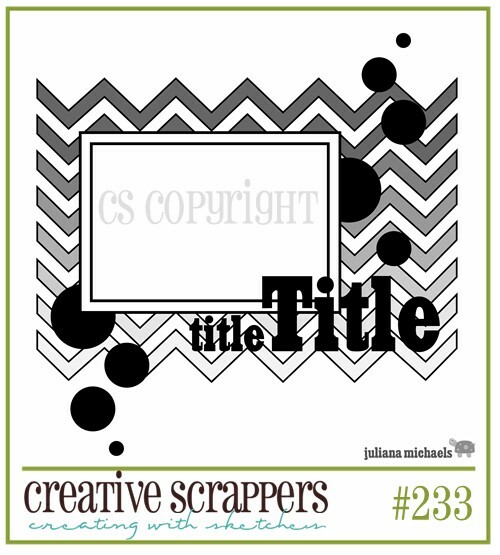 Today is the reveal day of the November kits at My Creative Scrapbooking..Yesss!!!! 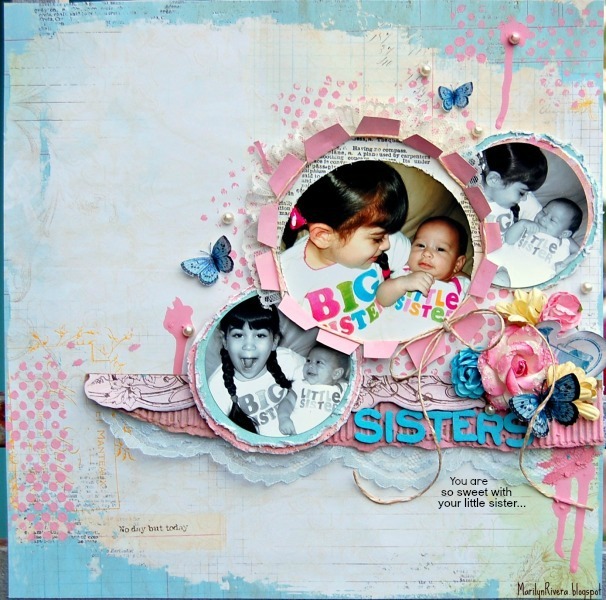 I worked with the Beautiful Limited Edition kit and with the fabulous Mix Media kit...I loved both!!!!! 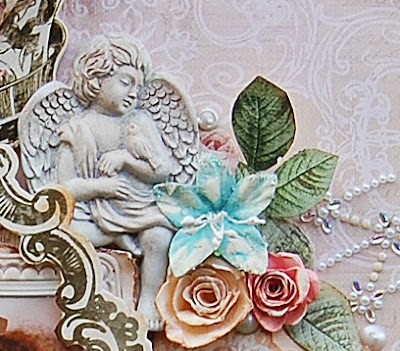 The Limited Edition kit is full of Prima papers, flowers, blings and also has a Dusty Attic chipboard, You will love this kit!!!! And here's my first page about my daughter Paola when she was in 4 years old. 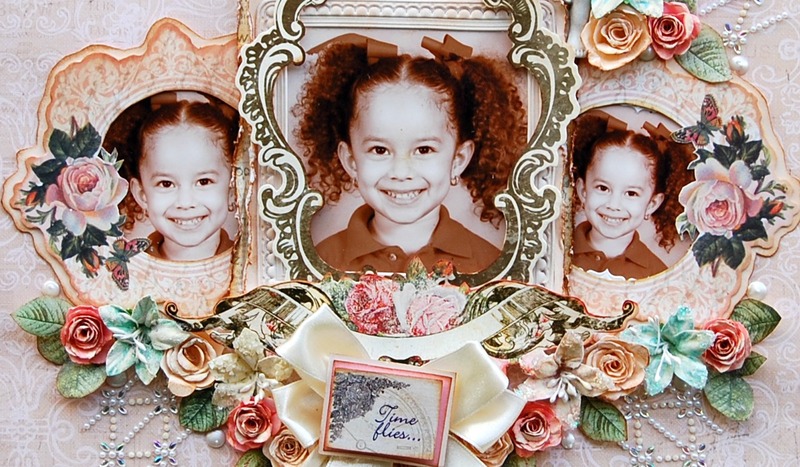 I used the stickers that come in the kit to make my tittle and the die cut pieces like frames for my pictures. I looove the Prima Shabby Chic Resin Angels and the Prima Zephyr Crystal...all these come in this kit. Here are some Prima and handmade flowers. 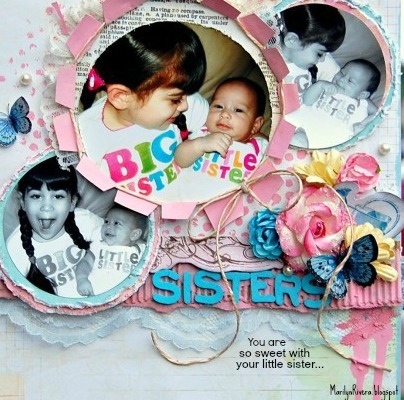 I made cutting fussy here and I altered the beautiful Prima flowers to make them a little big. 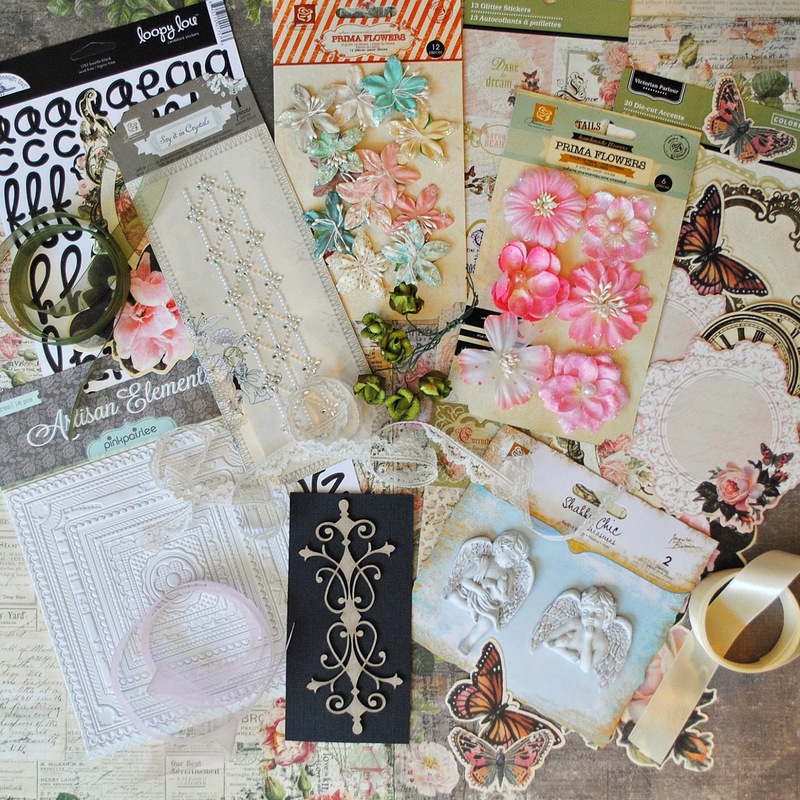 This beautiful organza ribbon comes in the kit, too. 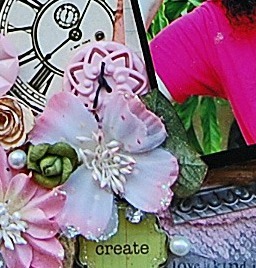 The little frame is from the Artisan Element Squares...love it!!! To enhance my layering mat I used the Beautiful stencils from the Mixed Media Kit and these Beautiful butterflies are from the Victoria Parlour die cuts in the LE kit. This one is about me...I love this word..HOPE. 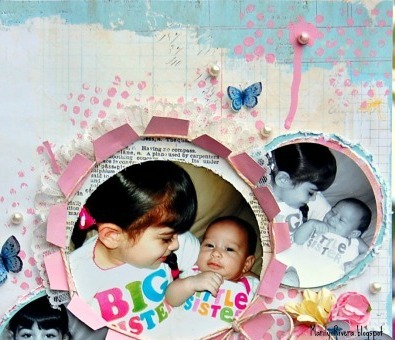 I used the Dusty attic chipboard- LE kit and the stencils from the Mix Media kit. I painted the Prima flowers and the butterflies and clocks are from the Victorian Parlour die cuts from the LE kit. My daughter is so funny and a happy girl, she loves wearing ears like this one, funny sun glasses and hats. 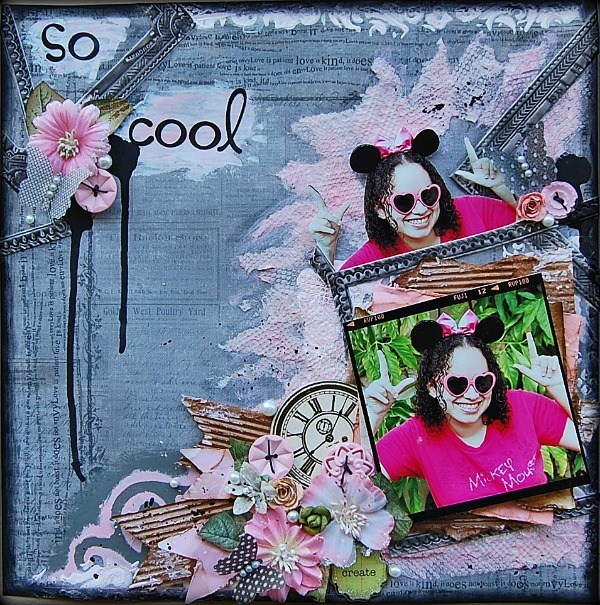 I made this page with the flowers from the LE kit and the yummies stuff from the Media Mix kit. I had so much fun making this page, stay tuned to MCS blog during this month for the step by step tutorial that I prepared for all of you. 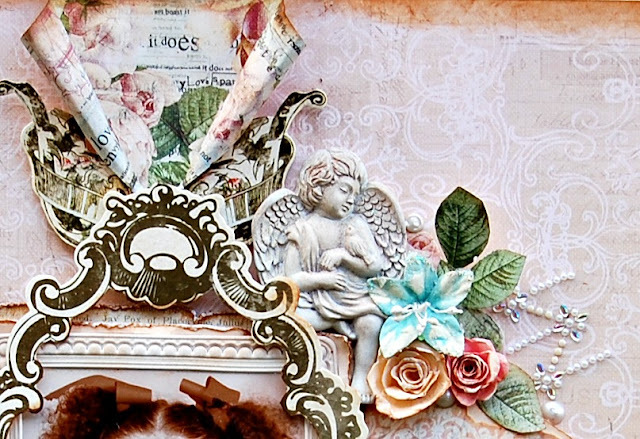 I played with the Artisan Elements frames in this page but in a different way then I painted to create this effect. 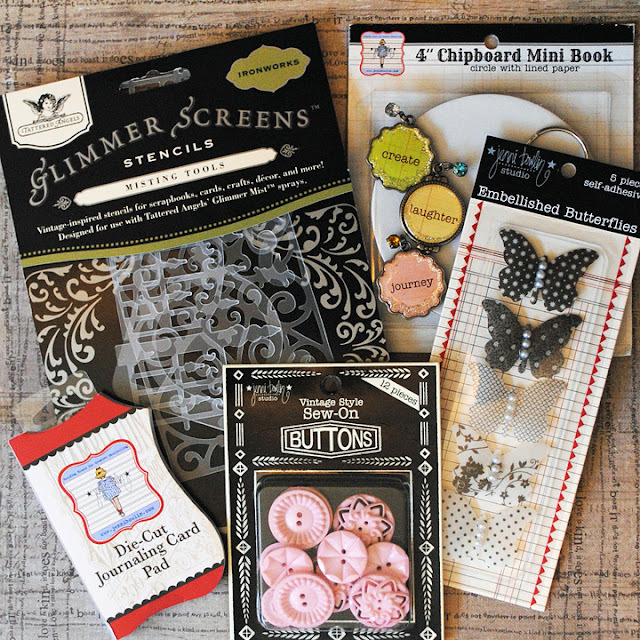 I hope this inspires you to create with these beautiful kits. Thanks for stopping by and for your sweet comments!!! a page about my niece, my princess Sabrina. Sabrina feels like a princess, she wears princess crowns and accessories and I love to see her playing to be a princess because she acts like one...she's so cute! See you tomorrow for My Creative Scrapbook reveal. Hello!!! Finally, I can announce this awesome news here in my blog that I had to keep in secret months ago. 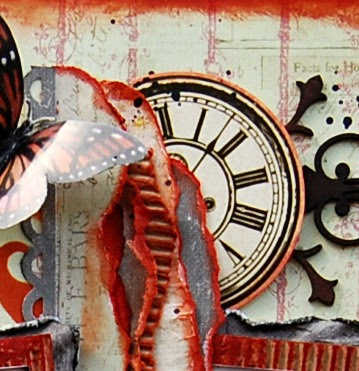 I was invited to join My Creative Scrapbook Design Team and I'm in the Mix Media Team with a group of talented ladies!! You can see the announcement.....HERE. 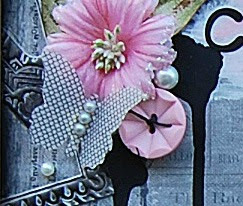 This next Monday is the reveal day at My Creative Scrapbook and I can't wait to show you my pages and my Mix Media work with all of you. 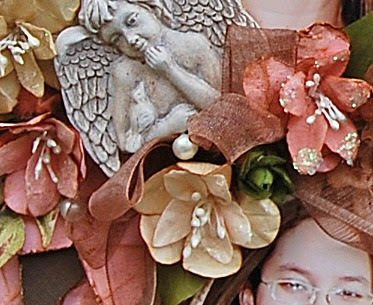 See you Monday for the full reveal of My Creative Scrapbook November kits. And tomorrow is Creative Sketches reveal so I hope you have time to visit me and see how I worked the new sketch.